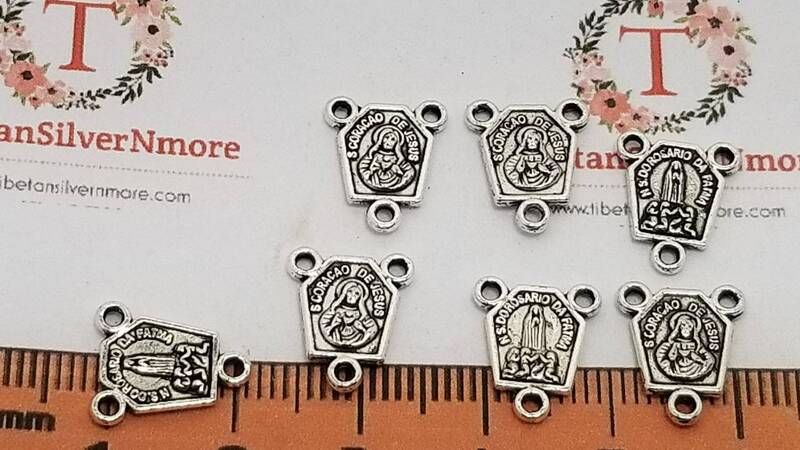 24 pcs per pack 12x10mm Hexagon Jesus and Lady Guadalupe Rosary Center Antique Silver Lead free Pewter. Perfect size Rosary center piece for small to medium Crucifix. 4 pcs per pack 30x18mm Medium size Hindu Gods Shiva Mahesvara With Aum in the back Charms in Antique Silver lead free Pewter. 3 pcs per pack 37x23mm Large size Russian Orthodox medal Pendant in Antique Silver lead free Pewter. 12 pcs per pack 24x18mm Angel Charms Antique Gold or Silver Lead free Pewter.